The recent filings by USARK have set the Court into motion. The first hearing has been scheduled for Tuesday, April, 7 at 2:00 PM. This hearing concerns the preliminary injunction and extension of the effective date. During yesterday's (4/2/15) status conference with both parties regarding USARK's application for Temporary Restraining Order (TRO) and Motion for Relief Pending Review (or preliminary injunction, PI), the Court asked if FWS, “would be amenable to a delay in enforcement of the challenged regulation with respect to interstate transportation of the species at issue..." This was requested by the Court to allow time for consideration to rule on a combined PI and summary judgment. In other words, FWS had another opportunity to voluntarily extend the effective date and was even asked to do so by the Court. FWS was not expected to allow an extension as doing so at this point would greatly undermine their argument that substantial environmental harm will ensue if the rule does not go into effect next week. As the Reptile Nation and numerous scientists who have rebutted the USGS python study know, the invasive capacity for Reticulated pythons and Green anacondas in the U.S. is not the looming threat portrayed by FWS. "any delay in implementation of the Rule increases the opportunity for these invasive species to be introduced or spread further into the United States and cause significant environmental harm. Additionally, in the limited time they have had to research the issue, Federal Defendants do not believe that the Fish and Wildlife Service (“FWS”) has the authority to stay the effective date of a final rule without going through a formal decisionmaking process." Even the USGS study used to support these listings specifies that only two continental states have potentially suitable habitat for these species. The areas are restricted to specific southern portions of Florida and Texas. These states already have laws regulating these species and there are no populations to "spread further." An injurious listing has no impact on intrastate ownership, so valid reasoning is absent to support this decision of not extending the effective date. Also, as USARK identified in our extension request letter on March 16, FWS does hold the authority to issue an extension without the lengthy formal process and research mentioned above. The cited months of work involved to voluntarily allow an extension were not mentioned in the previous letter of denial from FWS Director Dan Ashe. At the hearing, Judge Moss may rule on the preliminary injunction and enforcement extension from the bench, or there may be an additional delay. If you have not yet read it, USARK's PI is below. We have resolutely and proficiently represented the Reptile Nation. USARK will continue our course against this overreaching regulation. Any herpers or supporters may attend the hearing. We apologize for the delay on receiving shirts for those who recently joined USARK. We had an influx of new memberships and had to order shirts. Shirts will begin shipping next week. Thanks for your support and patience. 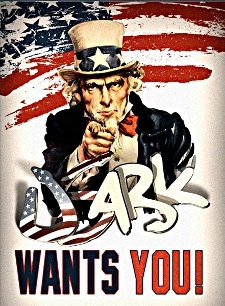 If you would like to join, you may do so at www.usark.org/membership-signup. There is a new anytime RAACA! Check out the format for listing auctions to benefit USARK via RAACA USARK Auctions at www.facebook.com/groups/1623588901209232/. These auctions will allow donations at any time and not just during scheduled fundraisers. Anyone can bid, donate and support the Reptile Nation!